This week in KeratoScoop: Enough BAK already! Did-you-knows from TFOS DEWS II. Try a handy blinker! 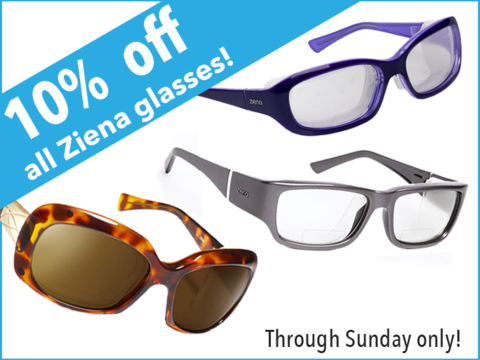 Ziena glasses are on sale. Allergan's still screwing around on Refresh PM. And we lost a giant, Perry Rosenthal MD. Really? How many more solid, compelling studies like this one, showing the damaging, drying effects of BAK-preserved glaucoma drops, will it take before industry and medical professionals stop plying this stuff and go completely preservative free? All you have to do to gather the facts is a little PubMed searching on benzalkonium chloride and dry eye (it's been very well documented for years) and then start reading the labels of drops people are using daily on a long-term basis. It does not take a conspiracy theorist to conclude that same ophthalmic pharmaceutical companies that are treating dry eye are also causing it with their BAK-preserved ocular drugs, and ophthalmology and optometry are not yet doing enough to prevent it. Consumers, beware. If your over-the-counter (e.g. allergy, redness reliever or "combo") or Rx (eg glaucoma) drop contains benzalkonium chloride, and you're using it daily for a prolonged period, there are well known risks you deserve to know and you deserve lower risk alternatives. If you score 13 or more on OSDI, you should be getting a proper dry eye diagnostic workup. (Source: TFOS DEWS II Diagnostic Methodology Report, section 8, clinical protocol.) Oh and by the way, get the smartphone OSDI app and score yourself before every doctor visit! The objective of the TFOS DEWS II Pain and Sensation subcommittee was to “highlight the neurobiological mechanisms that underpin DISCOMFORT accompanying dry eye disease”. (My emphasis.) 34 pages and 543 references of… all about pain. Follow DryEyeZone on Twitter for daily TFOS DEWS II quick facts. June/July - Keratoconus patients, NKCF is working on an event in North Carolina in June and Illinois in July! You're going to get your wish: they're working on a 2oz bottle! No guarantees about timing, but it's going to happen! I'm really looking forward to that. There are a lot of people who can't use all of a 4oz bottle within the time their doctor recommends continuing to use an open one. Reminder to scleral lens users in Canada, Purilens is available now at purilens.ca. There's a twist, though. We appreciate... and need... your support! For those who don't know our history, dryeyeshop.com has always had a dual purpose: First, to provide a unique service, by wrapping information, support and advice around a lot of obscure products for patients whose needs are not well known or understood. Second, to financially support our own efforts in dry eye education and advocacy projects. Literature for your eye doctor? 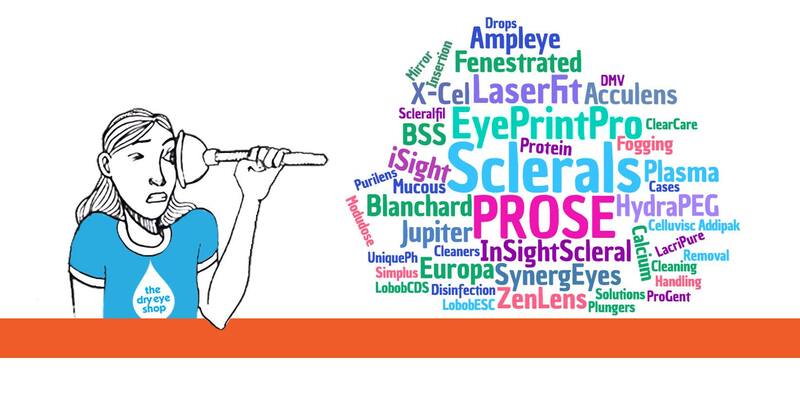 Let us know your eye doctor's name if you think they would be interested in some patient literature. Link from your doctor's site? If your eye doctor is familiar with us, could you ask them to add a dryeyeshop.com link to their website? And of course, shop once in awhile at dryeyeshop.com if you can. We really appreciate every single sale. It's not easy being small and service oriented in today's retail world. If you missed my tribute to Perry Rosenthal, it's on the blog now. I've been so moved by all the emails and Facebook posts about what he has meant to others. We were so privileged to know him.